Logistic Pro themes has been purchased 9, rating: 4/5 based on 4 reviews. 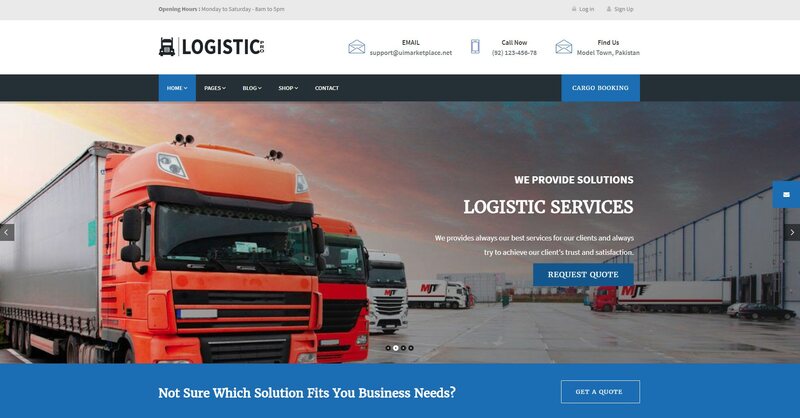 Logistic Pro is a Shopify theme designed especially for transport. Developed by Uimart, Logistic Pro has a beautiful, modern and clean design. This theme is fully compatible with all devices like tablets, computers, mobile, laptops, screens, etc. In addition, Logistic Pro Shopify theme is a very easy to use and customizable theme that helps shop owners build online stores quickly and save time. Moreover, it integrates tons of powerful modules like SEO, Mega Menu, Slideshow, Quickview, Revolution slider, etc, Logistic promises to bring the best experience to customers.